Intuitive Life Coaching & Nutrition program. Have you ever wanted to improve your health but didn’t know where to start? Welcome to Boston Holistic Healing Center, place where you will find answers, ideas and feedback that is natural health and alternative medicine focused. At the Center Ludmila offers her clients a total Holistic lifestyle approach. It combines her personal Energy Healing abilities with an advanced Nutrition Program which is uniquely custom tailored for each client and uses supplements and weight management system, Meditation Groups (including mind and body relaxation as well as meditative breathing) and Reiki Healing. This distinctive unique combination allows clients of the Wellness Center to achieve painless, optimal physical health, emotional / psychological balance, as well as happiness and longevity. For over 18 years Ludmila has helped hundreds of clients to overcome or greatly alleviate symptoms related to such health ailments as Anxiety, Depression, Migraine, Thyroid Issues, Gout, Fibromyalgia, Diabetes, Sciatica, Back Pain, Sport Injuries, Irritable Bowel Syndrome, Urinary Tract Infection, Diverticular Disease, ADD and ADHD. She also preps her clients for surgeries and helps with post-surgical recoveries. Ludmila empowers her clients by offering Reiki Training Classes for both adults and kids and Meditation groups. Specializing in combining Energy Healing, Reiki Healing, Chakra healing, Intuitive Counseling, Intuitive Life Coaching and Nutrition program, she changes one life at a time. Modern lifestyle, poor dietary choices, lack of physical activity, intake of sugary foods, the rise in chronic diseases and stress, frequently contribute to poor health, which leads to poor sleep, weight gain and potentially diabetes. Some of us are facing certain food allergies such as tree nuts, sea food or need to be on a gluten free diet. In recent years, facing numerous health issues, more and more people are giving up on old habits and are switching to organic and locally grown food understanding how critical nutrition foods to our health. Nutrition and Wellness program is custom tailored to the needs of each client and is proven to make a positive impact on your life! 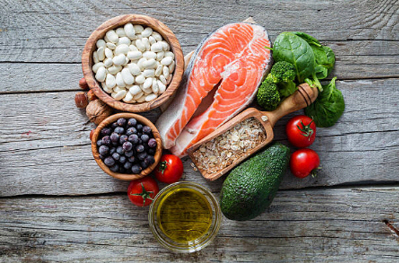 Program is based on making necessary adjustments to the existing diet based on a thorough assessment of personal health history and current diet, by getting to the root cause of your problems, such as insomnia, low energy, skin problems and hormonal issues. Food is your best medicine for many health problems. Nutrition and Wellness program is NOT a diet, it’s a lifestyle change. Poor physical health can cause poor mental health and vice versa. When we look at our health we should look at the concept of body, mind and spirit as a whole in which all of the elements are connected and in which each feature affects the other. Health is an ongoing discovery process of how to integrate your entire being into achieving the utmost in wellness. It’s all too often we do not recognize the importance of our health – both physical and mental – until we get an ache, a chronic condition or become awfully stressed out. Then and only then we will try to cope with the issue and if nothing works, we turn for a help from a medical professional. The bottom line is, in order to be in the best shape both physically and mentally, we need to be proactive to either staying healthy or getting back in shape. Preventive care is very effective, being proactive means more than taking the initiative. It means that we, by and large, are responsible for our own lives and the choices that we make. As a Health Counselor, Ludmila takes you on a journey for living an energized and passionate life. "Whatever your concerns are, my job is to help you find which food and lifestyle choices will work best for you and the life you desire." - Ludmila. As a part of the holistic healing approach, Ludmila leverages her natural abilities with the deep knowledge of various energy healing techniques and years of experience to provide her clients with alleviation and often elimination of physical and emotional elements. Her LIFE guidance has helped many to find their path in life. Energy healing can be instrumental not only in helping people with various chronic diseases but also with the weight management. Ludmila's Nutrition and Wellness program and Healing services are available in person and worldwide, to those living outside of Massachusetts, via Skype, her international clients live in England, Morocco and Russia. Get in touch, your wellness is my concern! Everybody suffers occasional aches and pains. But some of us live with chronic back issues, migraine headaches, fibromyalgia and other ailments. Discover alternative way to alleviating pain. Post surgery interview with a Board Certified, Harvard trained Plastic Surgeon Dr. Joseph Russo MD. Are you ready to harness the power of vibrant health to fuel your life? emotional or mental and behaviors that keep you limited in your potential and true health. Chakra Balancing are points that regulate energy flow. If these points are blocked and unhealthy then energy cannot flow freely resulting in physical illness and discomfort. Ludmila’s healing system concentrates on the removal of toxins out of the energy field that results in the removal of blockages as well as healing and balancing of all the chakras. 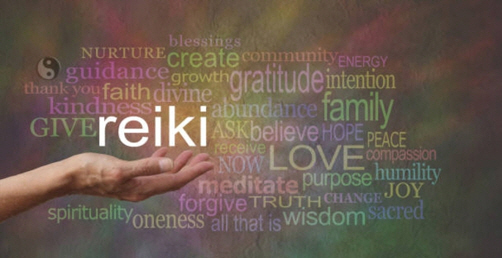 of the practitioner's hands on the client's fully dressed body and conduction of pure Reiki energy to the client. Significant benefits of Meditation have been found for many health conditions, including high blood pressure, heart disease, insomnia, and chronic pain. Research also has shown significant improvements in mental health, memory, concentration, and productivity. Ludmila helped me during the hardest time in my life. I came to her in a deep depression, physically sick and emotionally down. Using Energy Healing, and spiritual guidance she helped me to get back on my feet emotionally and physically. Her nutrition one-on-one coaching program jump started my new career. I feel healthier, happier, energized with many aspiring plans for the future of my family. I'm very grateful our life's paths have crossed. I would highly recommend Ludmila! … Before I began my treatments with Ludmila, I was always run down, my body ached, and I was running on empty… Ludmila’s depth of knowledge has provided me with an armamentarium of approaches to achieving very personal goals whether it is cleansing my body of toxins or facing life altering experiences. Ludmila provides an oasis from the crush of everyday life, where I am free to contemplate and nurture myself. She has been a blessing to me. For most of my adult life, I have struggled with stomach and digestive issues. I did not like to travel or be away from the vicinity of a restroom. My family introduced me to Ludmila hoping she could solve the problem. After several sessions on nutrition and changes to my diet, I could not believe how much better I felt. She taught me how to shop and prepare the correct meals that would replace all the wrong choices that caused problems. With a new diet and supplements, I have felt better, started exercising more and lost weight. I cannot thank Ludmila enough for all the good changes she has brought into my daily living. … I’ve been suffering with undiagnosed intense, persistent muscular pain for years, tried different conventional treatments, consuming more than a dozen painkillers a day! When I came to see Ludmila I was on my lowest level of energy, feeling miserable and depressed, lost in a lot of pain… both physically and emotionally. After the third encounter I couldn’t believe the improvement and now I am pain free, looking forward to the future! Ludmila saved my life. I had been suffering from low back pain for weeks as a result of improper lifting while gardening when Luda saw me resting for a bit and offered to help me. Frankly, I thought the whole thing would just be a big joke when she explained the Holistic Healing to me but I didn't want to hurt her feelings by telling her that. So I told her to go ahead. She stood behind me for about 20 minutes as I sat with the sun on my face, eyes closed. I'm not sure what she was doing as she never laid a hand on me. After she was done I felt very relaxed and comfortable. The pain had eased up. I went back to gardening and amazingly, by the time I stopped almost 2 hours later I felt better than I did before I had started. It is now more than a month later and not only have I been able to continue with the gardening work even to this very day but the pain stopped completely and has never returned. She's got the magic going on, no doubt. I highly recommend Ludmila and Boston Holistic Healing. After suffering many years with terrible headaches and traveling all the usual medical avenues, I decided to try a holistic approach to my pain. Headaches were a way of life for me as were the medications I took which never seemed to help. After a few sessions with Ludmila, the results were dramatic. I would wake up each day expecting a headache to develope but they didn't come. Just amazing!! The sessions were extremely relaxing and I left each one full of energy. The results I saw have now been long lasting. Thank you. ...I couldn't believe how I could feel the healing energy move through my body as Luda worked on cleansing me. It was amazing! After my first few treatments, I had big emotional releases. I guess this is not always the case but it was for me. It was good to purge some of the emotion I was unknowingly hanging on to and I felt light and free after the fact. As we moved on through a series of sessions, I realized a lot about myself and Luda offered great advice on nutrition, coping, communication, relationships and self-care that I was able to take back and integrate into my everyday life. I believe that Luda's work can help to heal things that people otherwise feel hopeless about. It is magical!